On 11 September 2001, four American passenger jets were hijacked by al-Qaeda terrorists. Two of the aircraft were flown into each of the twin towers of the World Trade Centre in New York, both of which subsequently collapsed; one aircraft was flown into The Pentagon, headquarters of the United States Department of Defence; the fourth aircraft crashed into a field in Pennsylvania after passengers tried to wrest control from the terrorists. Nearly 3,000 people, including everyone on board the aircraft, were killed in the attacks planned by al-Qaeda, under the direction of Osama bin Laden from his base in Afghanistan; a base he was allowed to occupy by the Taliban regime controlling Afghanistan at that time. On 7 October 2001, US and British armed forces invaded Afghanistan to oust the Taliban regime which harboured al-Qaeda. Operation HERRICK was the name for all British military operations in Afghanistan in support of the North Atlantic Treaty Organisation (NATO) led International Security Assistance Force (ISAF) and the US-led Operation ENDURING FREEDOM. 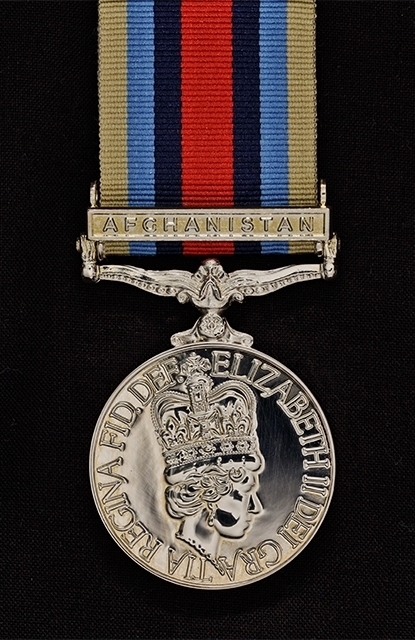 Op HERRICK ended in October 2014 when British operations ceased in Afghanistan and Op ENDURING FREEDOM was completed on 28 December 2014. The Royal Irish Regiment undertook three substantial Operation HERRICK deployments, HERRICK 4 (2006), HERRICK 8 (2008) and HERRICK 13 (2010). The Regiment’s 2nd (Reserve) Battalion has provided mobilised individual reinforcements to a number of others. The follow-on mission to Op ENDURING FREEDOM was Operation RESOLUTE SUPPORT, a NATO-led train, advise and assist mission that began on 1 January 2015. The mission provides training, advice and assistance for Afghan security forces and institutions in their conflict with extremist groups. Operation TORAL is the name for current British operations in support of NATO's Op RESOLUTE SUPPORT. To read about the Regiment's deployment on this operation please click on Op TORAL IV.